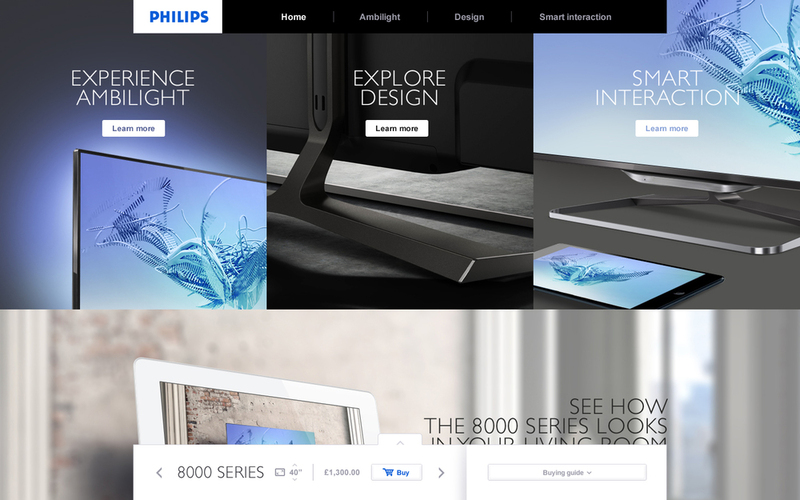 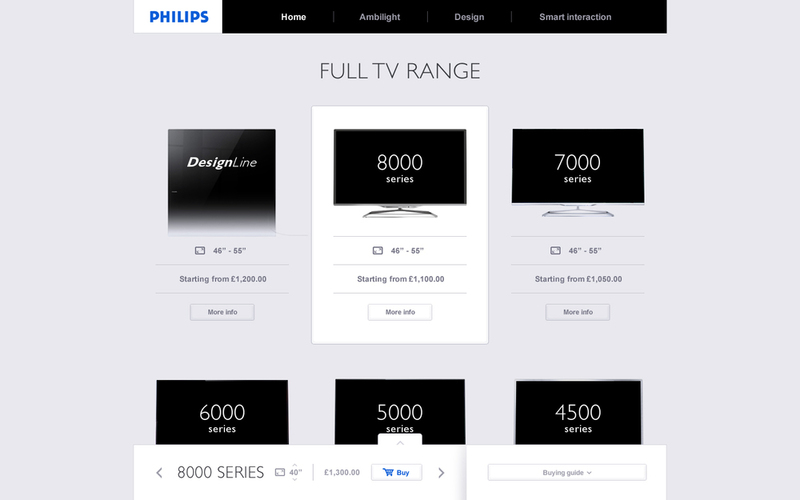 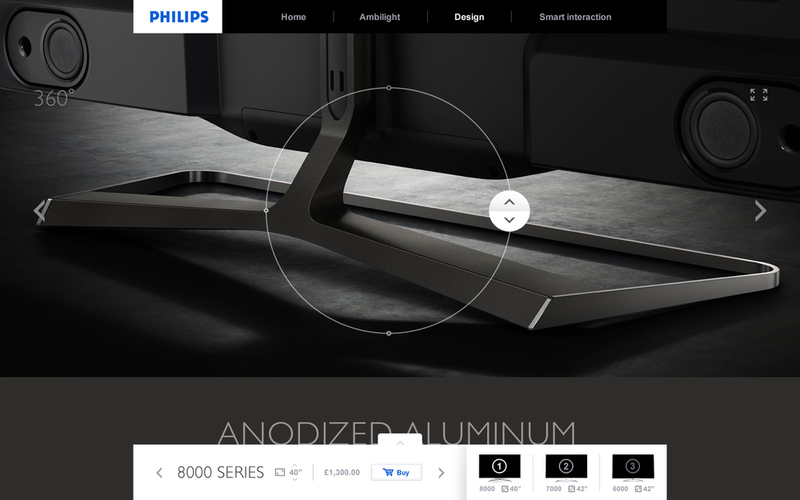 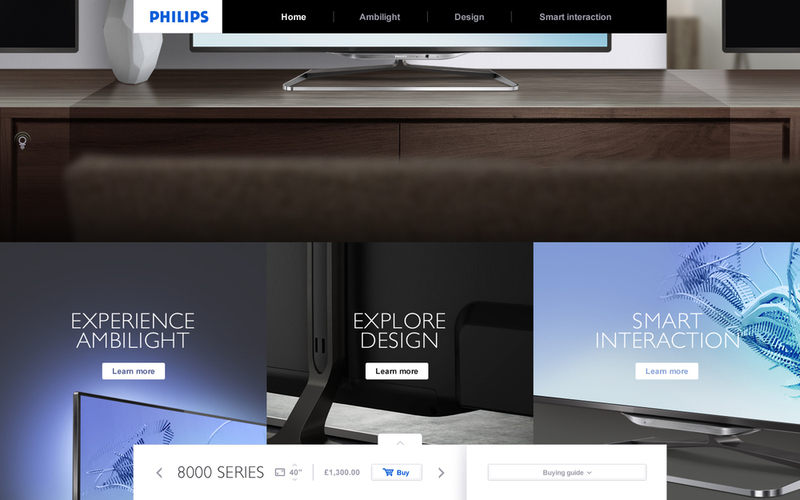 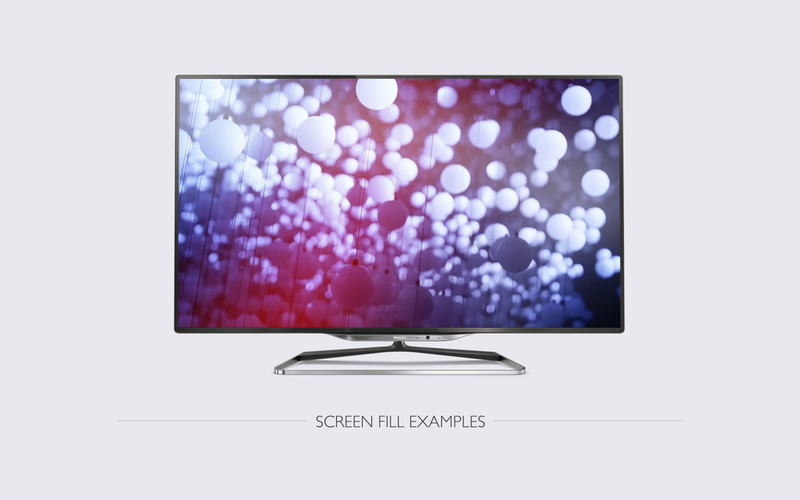 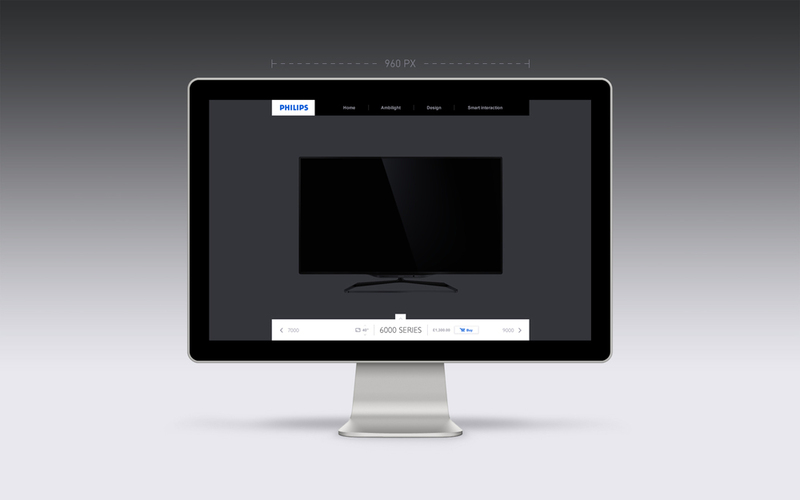 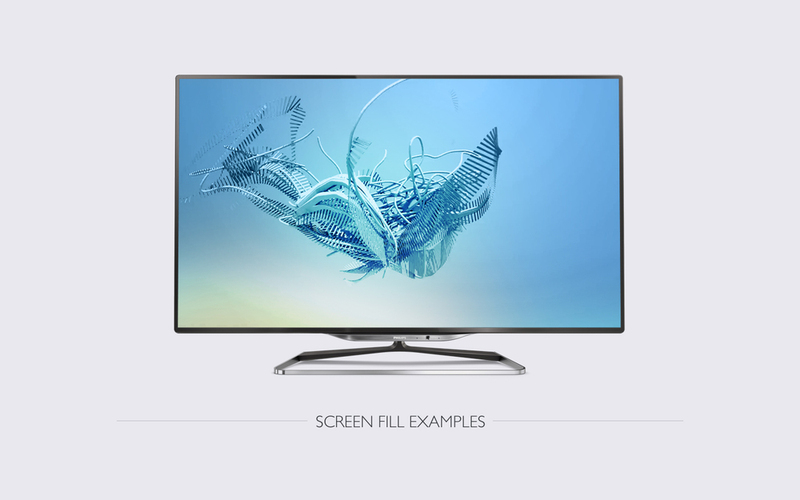 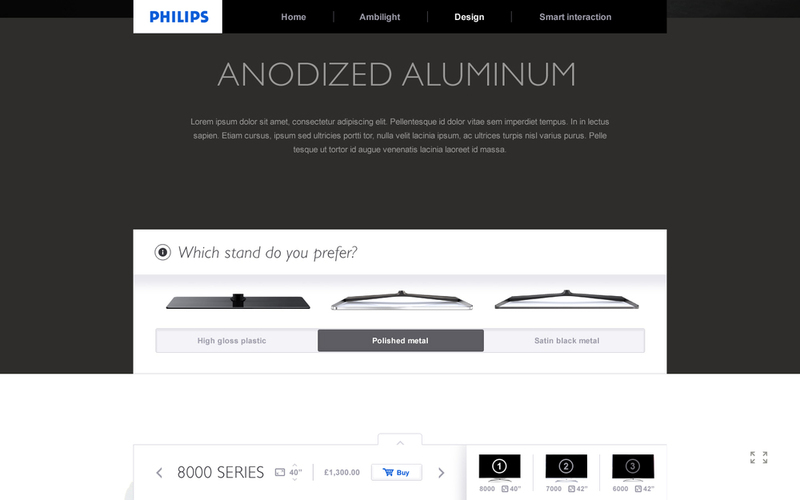 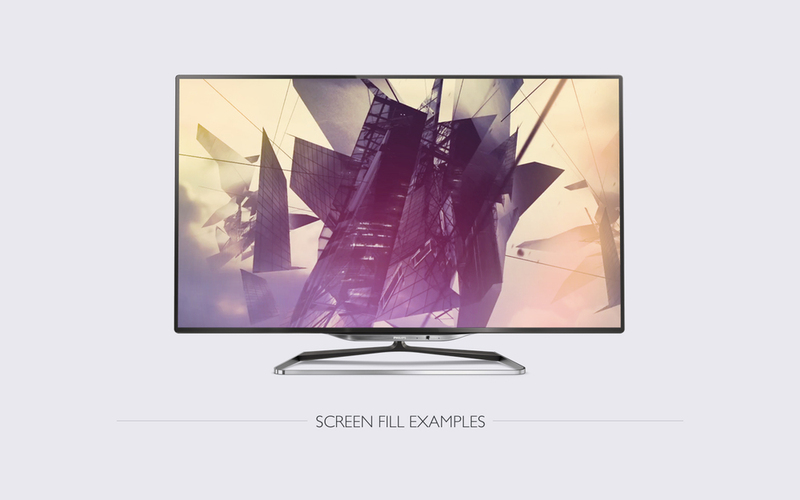 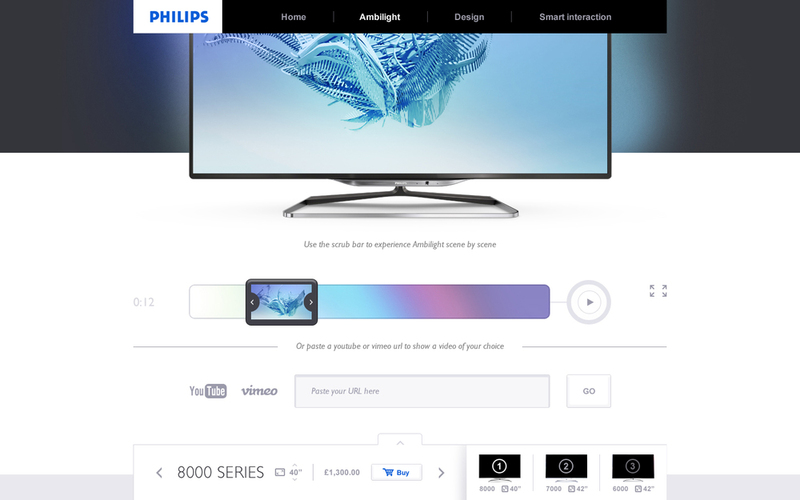 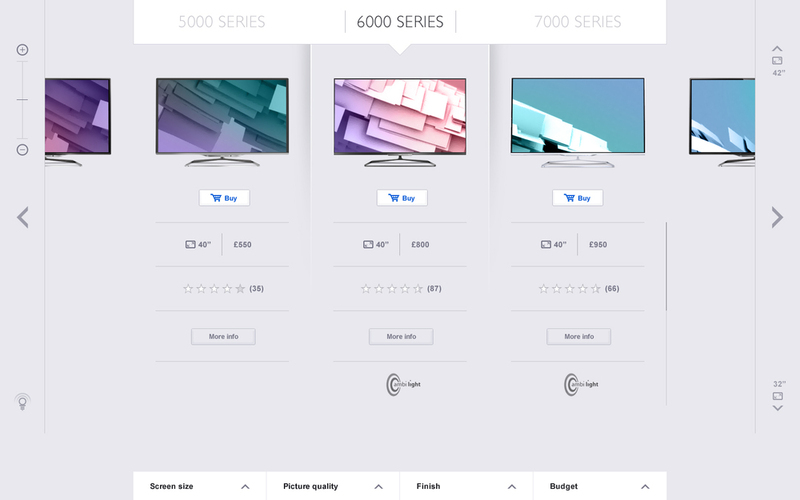 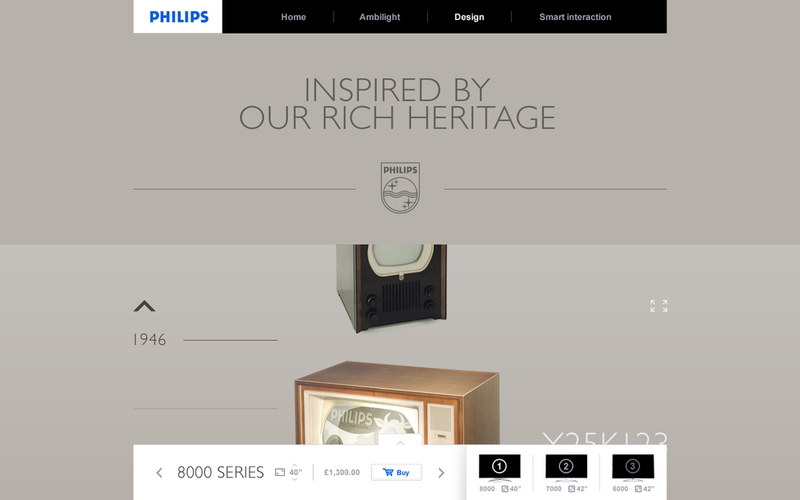 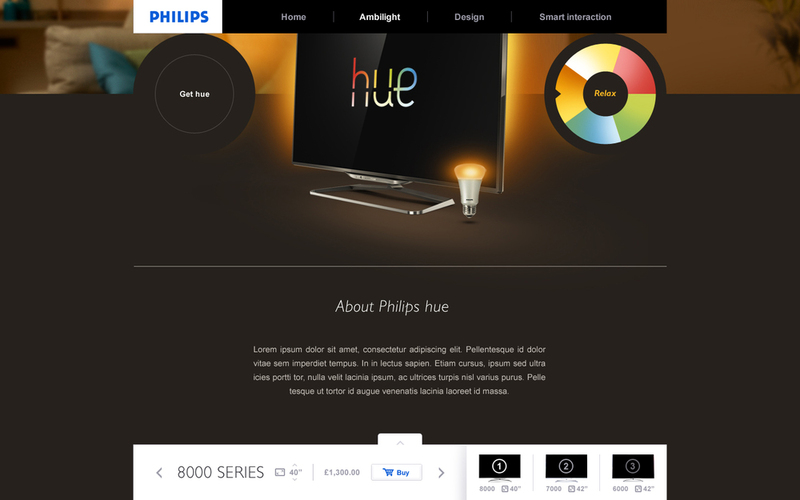 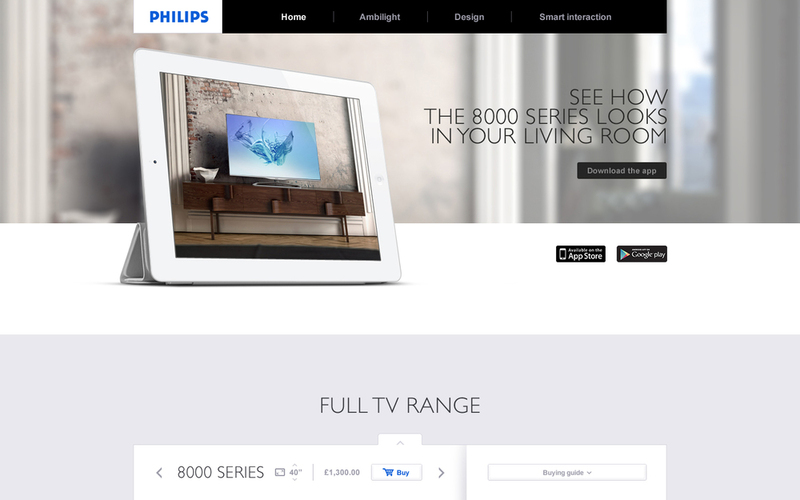 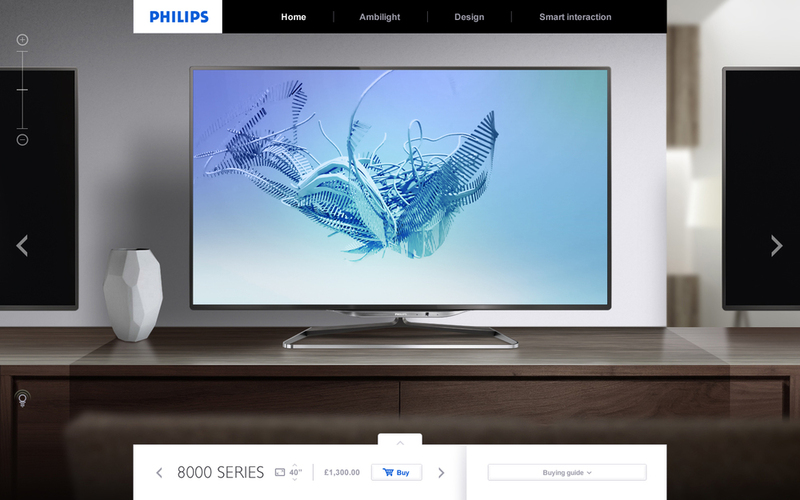 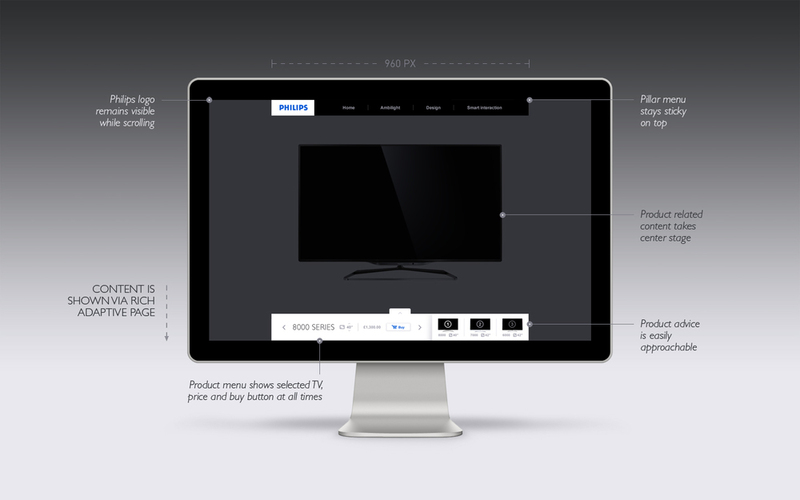 Rebranding the online landscape of Philips TV, merging functionality of the TV Buying Guide with the Category Page. 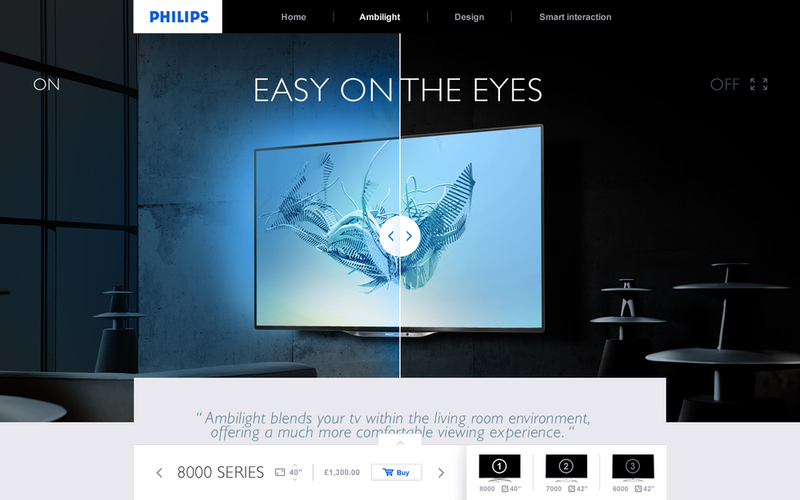 As a result the experience of browsing / finding the right TV should be much simplified, and more engaging throughout all platforms and devices. 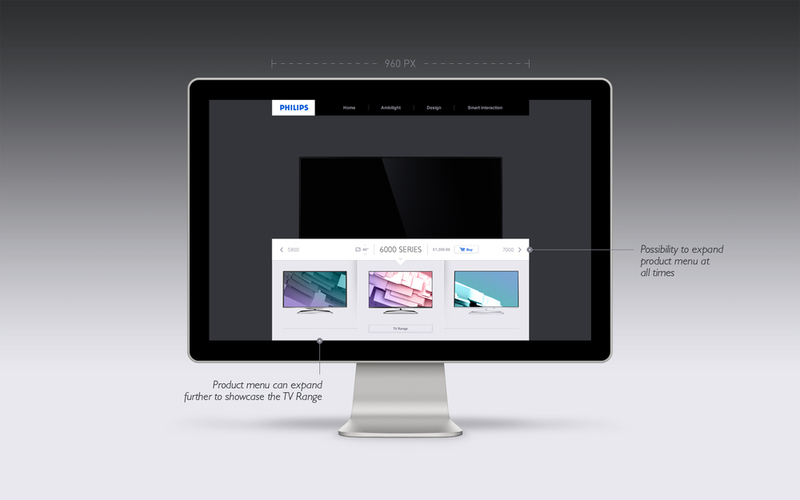 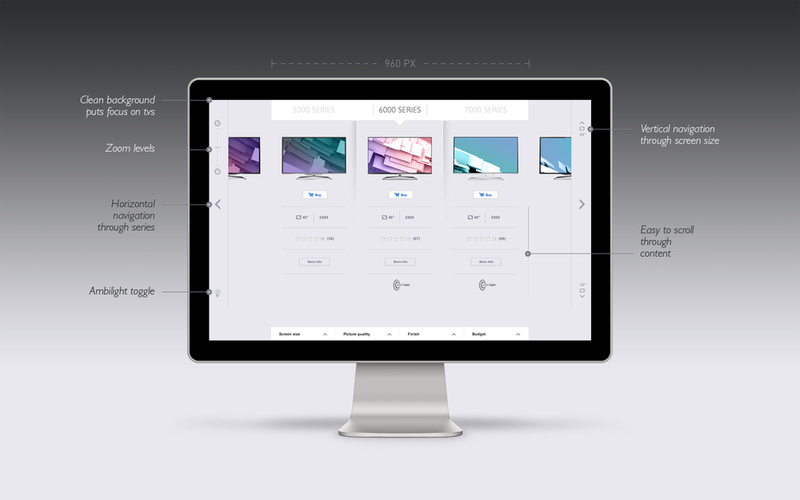 The concept and visual design was developed together with MomkaI. 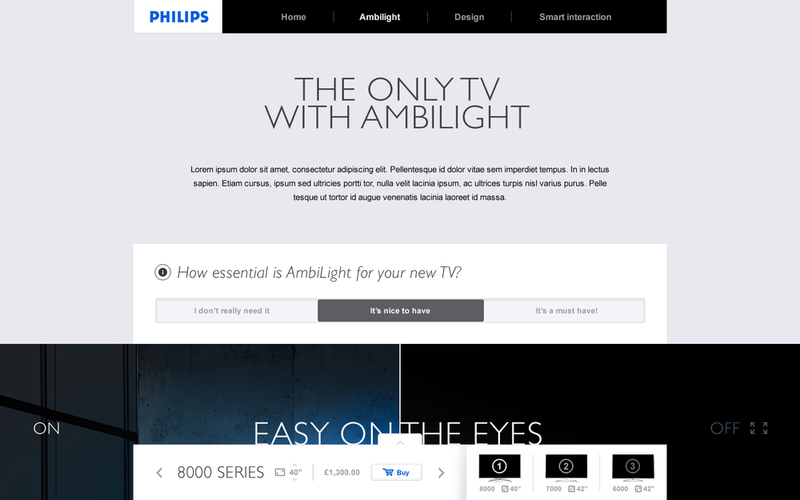 Three main pillars of communication where identified: Ambilight, Design and Smart Interaction. 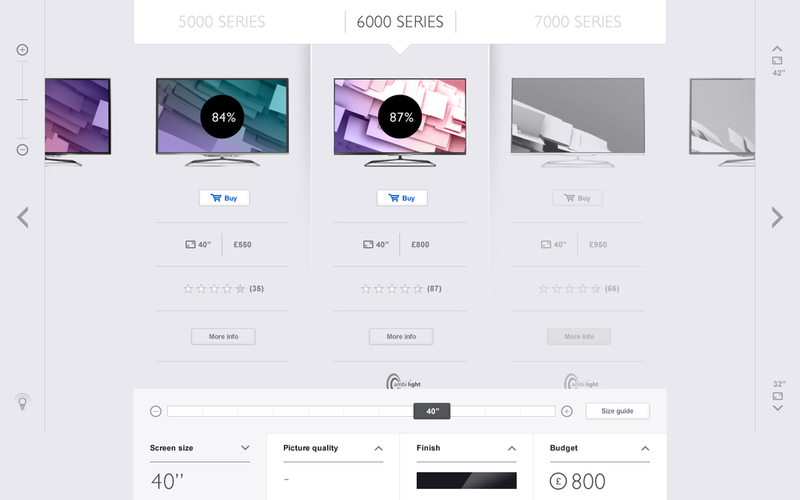 At the same time functionality of the TV Buying Guide was implemented at the heart of the page, to allow for easy filtering, comparing, browsing and understanding of the range of TV's.. 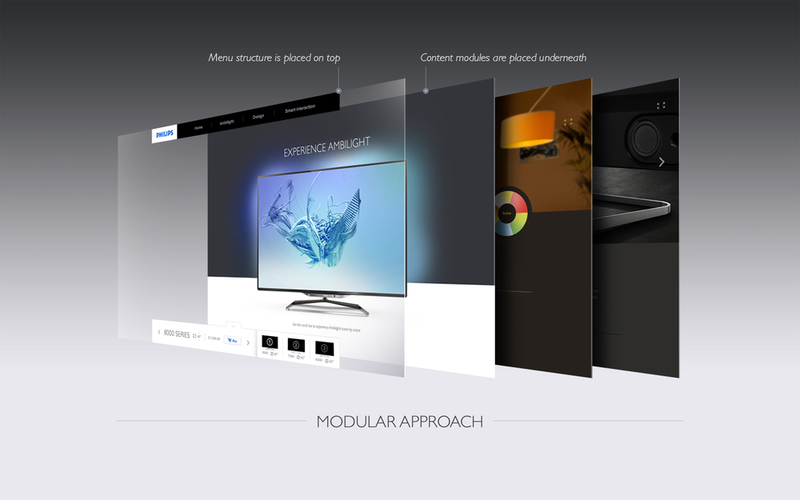 The modular design approach allows for easy updating and maintaining the site. 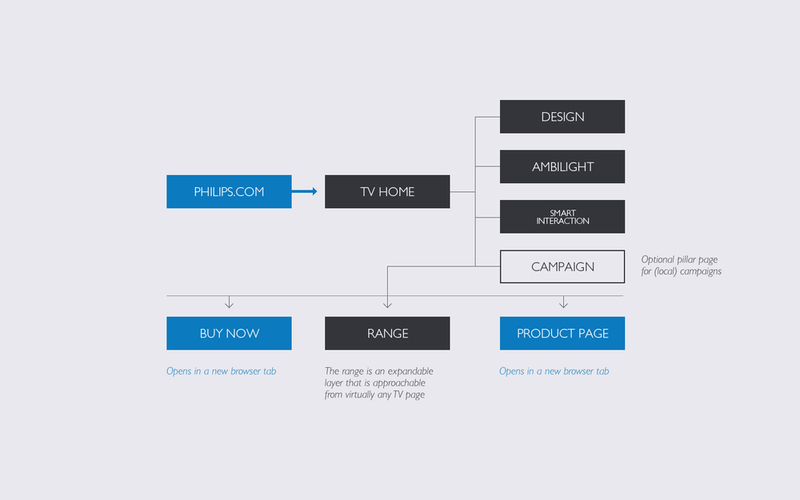 Above that, consumers can be adressed more specifically; different modules show up, as well as the order and structure adapts depending on country specific campaigns, consumer behaviour, or filtering of the content. 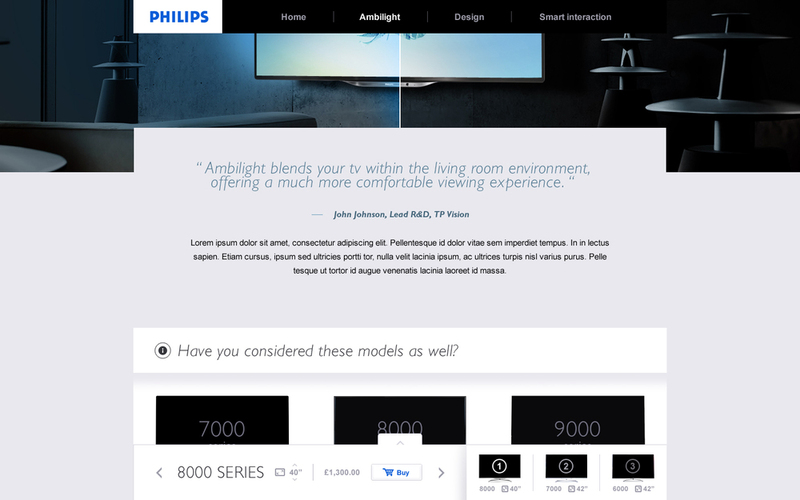 Advisory modules appear throughout the content, allowing to filter or upgrade. 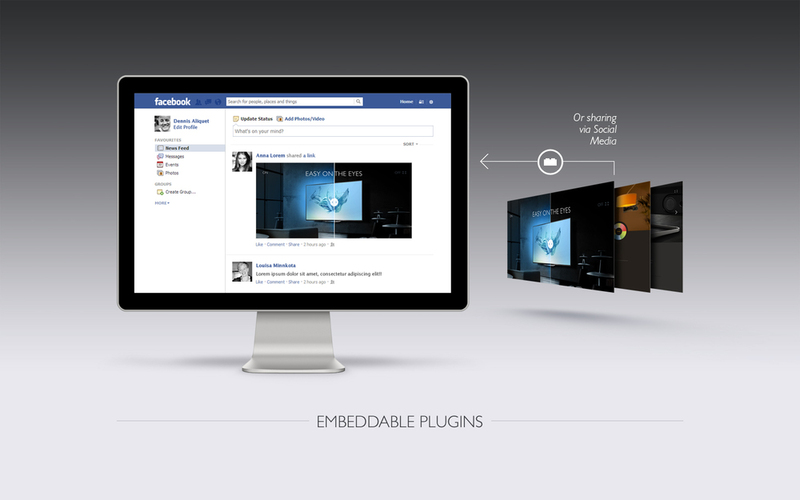 Existing modules can be reused across any other channel.